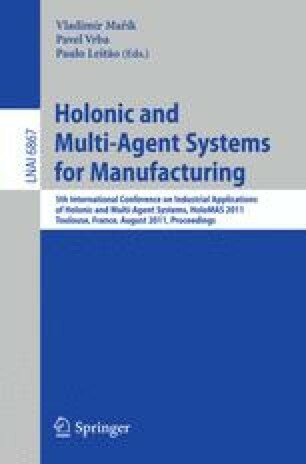 This paper discusses the application of the PROSA reference architecture  and its delegate multi-agent system coordination mechanism or D-MAS ,  to robotic applications, particularly to the coordination of multiple mobile robots. Originally, PROSA and D-MAS have been developed for the manufacturing executions system or MES domain . The application of PROSA to robotics is a generalization: PROSA has been elaborated but was never in need of modification. This reference architecture is applied to multiple application domains and differences are confined to its elaboration, specialization and instantiation. Likewise, the delegate MAS mechanism was reused across application domains. As a side effect, this facilitates the seamless integration of manufacturing execution systems and the coordination of mobile robots if they are PROSA and D-MAS implementations. This paper first presents the mapping of PROSA onto robotics. Next, it discusses how this technology from the MES domain enhances performance in mobile robot applications.